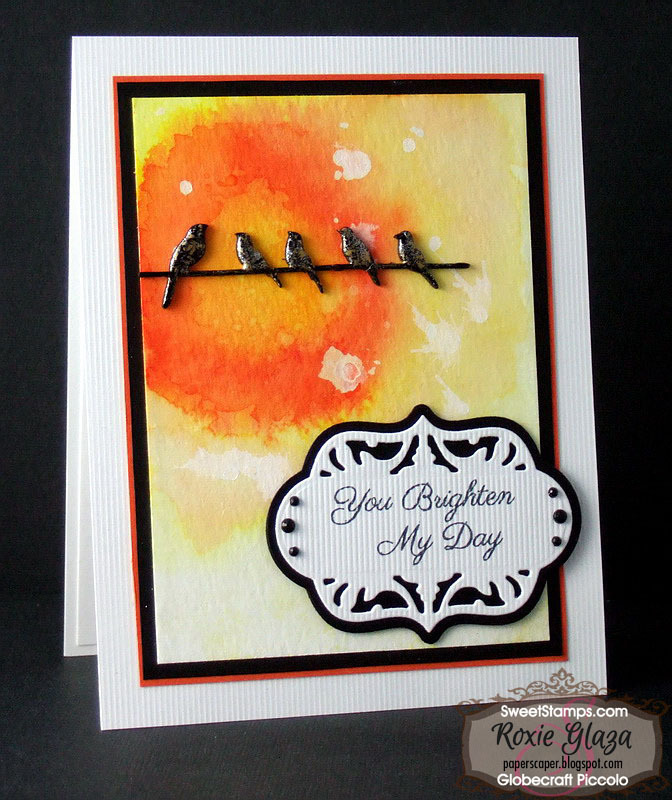 The background for the birds was created with Tim Holtz Distress Spray Stains. After adding all the color I spritzed with the white Picket Fence and blew some of the spots with an airbrush. The bookboard birds were heat embossed with 3 coats of Vintage Black powder to create dimension and round them out. The piece was attached to the card with Aleene's tacky glue. Love the birds with the watercolor background...so pretty! Love the colors and the Sun/Halo effect. So pretty Roxie! Loving that bold sunshine!! Great card! Gorgeous card, I love that background! Love the way the birds look against the brightly colored watercolor background.